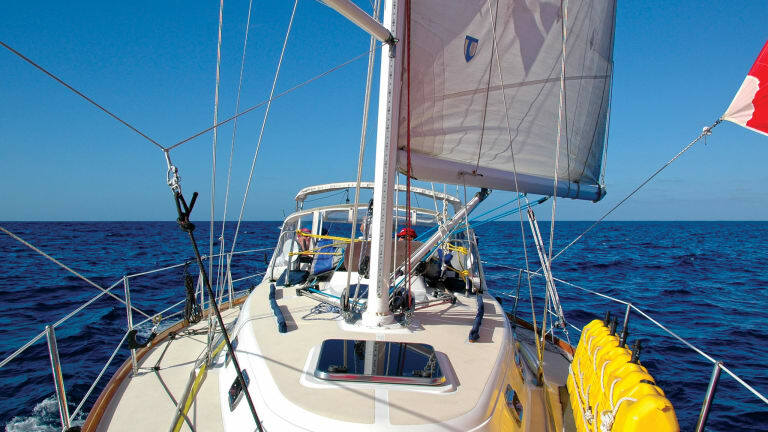 For many West Coast sailors, the Baja Ha-Ha is their most ambitious offshore passage. The Baja peninsula is rugged and remote. You need to prepare for offshore conditions ranging from days of flat calm to 25 knots of wind with gusts to 30. 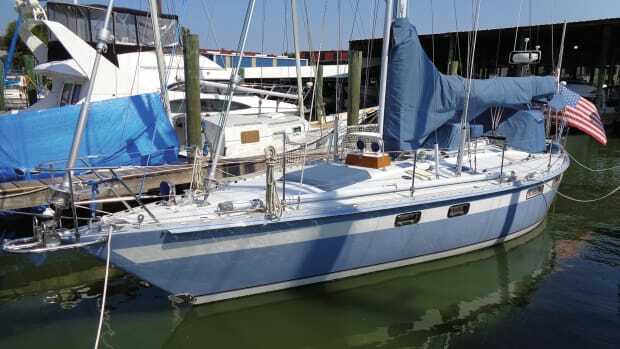 I joined the 2014 Ha-Ha on my Tartan 3500, Intuition, after some intense preparation, and have twice crewed on other boats. Here’s what I’ve learned after three Baja Ha-Has.  PREPARATION: You could easily spend several months preparing your boat for this adventure, familiarizing yourself with each onboard system and correcting the problems you identify. As you work through your boat, ask yourself, “What would happen if?” and prepare for those scenarios. If your standing rigging is more than 10 years old, having a rigger inspect it will provide valuable information and peace of mind. Be sure to plan ahead, as riggers’ schedules often fill up prior to big events. Go over all the deck gear and make sure it’s in good working order. Replace any frayed halyards or sheets, and have spare line on board. It is also a good idea to clean and lube your winches, lube all blocks and mouse all the shackles with seizing wire to prevent them from opening. The return journey from Baja—the notorious “Bash”— will reveal any weaknesses in your engine and fuel system, in particular. Therefore, be sure to change the fuel filters and make sure you know how to bleed your engine. Open the inspection ports on your fuel tank and look for sediment. Any growth could become dislodged in rough seas and block your fuel system. Clean your tank or have your fuel polished. You’ll be using your anchor, ground tackle and windlass whenever you stop, so make sure your anchoring gear is up to the task. Anchorages along the Pacific side of Baja are usually good (20-30ft deep, sandy bottoms and well protected). Service your windlass, grease the shaft, gypsy and clutch assembly. Check the electrical wiring and the control switches. If you’re not familiar with anchoring, practice with your crew. Make sure water can’t find its way into your boat. Seal the mast collar with a waterproof boot or tape (or both). Portlights and hatches are other areas where water can work its way in. A good going-over with a hose should reveal any leaks that may not have been apparent in the mild Southern California climate. Be prepared to replace portlight gaskets and rebed them where necessary. Well in advance of such a voyage, it’s wise to take your sails to a sailmaker for inspection and repair. Look for frayed stitching and worn sailcloth. Be familiar with reefing your main and make sure the lines are led properly. You may want to rig preventers to control the main and protect against unintentional gybes. Also, consider a boom-brake. 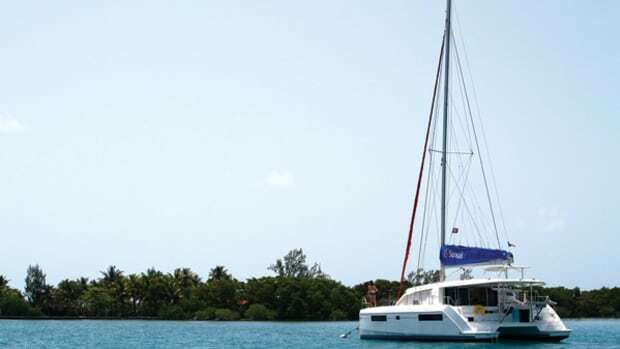 The Baja Ha-Ha is usually a downwind run where a full spinnaker is often the best choice. 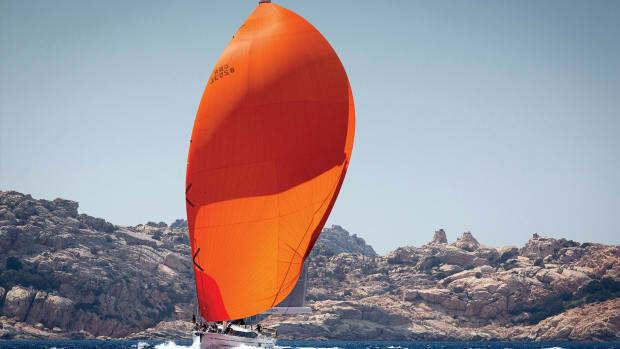 For deep reaching, an asymmetrical spinnaker may work best. 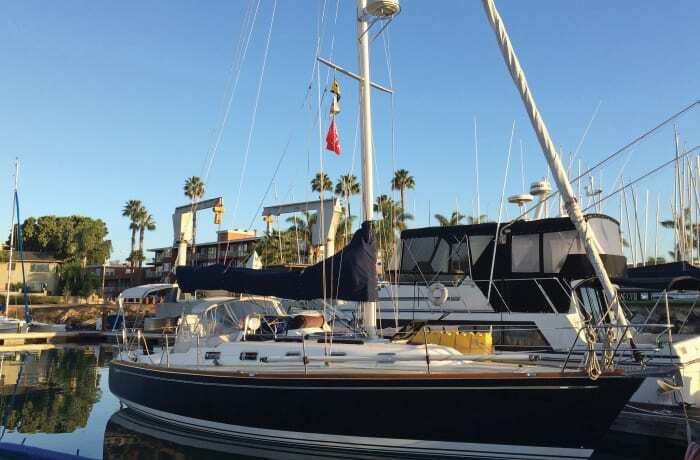 Otherwise, you will probably want to pole out your genoa with a spinnaker pole or whisker pole. As you progress south toward Cabo San Lucas, you’ll be happy to have suitable shade from the increasingly hot sun. A dodger and bimini are nice to have—most would consider them essential. Finally, you’ll need a dinghy and a reasonably powerful outboard motor. The Baja Ha-Ha Bahia Santa Maria beach party requires landing your dinghy through moderate surf. Alternatively, the local fisherman are happy to shuttle folks in their pangas for a small fee. Lastly, be sure to have the Mexican courtesy flag, U.S. flag, Baja Haha burgee and any yacht-club burgees properly displayed. SAFETY: Deck safety is a key concern, and you should install jacklines, with strong attachment points through-bolted with backing plates. Inspect your lifelines for proper tightness and replace them if there are any frayed or corroded wires. Consider replacing any “split rings” with seizing wire and wrapping with tape. There’s no limit to the amount of safety gear you should carry. Be sure each member of your crew has a lifejacket with harness, LED strobe, whistle and tether, and preferably a personal locator beacon (PLB) and/or AIS MOB. Have a horseshoe buoy with strobe, man-overboard pole and a heaving safety line available. Attach SOLAS safety reflector tape to all safety gear. Your insurance company may require you to carry an EPIRB. The prices for these have dropped substantially over the years, and they can also be rented. The Garmin InReach or Spot™ Tracker satellite communicators are wonderful safety devices that provide tracking and two-way text messages and/or SOS alerts. Have current safety flares or a USCG-approved electronic distress light onboard. Note that the USCG Auxiliary advises a flare gun could be considered a firearm, which is illegal in Mexico. If you have a liferaft, stow it in a location that is readily accessible in the event of an emergency. Prepare a ditch bag with your EPIRB, signaling mirror, handheld VHF radio, GPS, food and water. Be sure to include suntan lotion, any personal medications and spare eyeglasses. SPARE PARTS: Storage space on sailboats is often limited, so it’s a judgment call on how much spare gear to carry. The Baja peninsula is a remote area and marine parts are difficult to find. Participants in the Baja Ha-Ha are very helpful. Other cruisers may have the needed spare parts and offer assistance in solving problems. In an emergency, parts can be shipped to Tortuga Bay, San Carlos or Cabo San Lucas. However, you should plan on being as self-sufficient as possible. COMMUNICATION: At a minimum, you need a fixed VHF radio and handheld backup. Daily check-ins, fleet position reports and weather bulletins are conducted over the marine SSB (8A) at 0700. For boats without an SSB, afterward, there’s a VHF relay. An SSB radio also allows you to download weather information, participate in cruising nets and send/receive e-mail. An Iridium satphone or Iridium Go! are becoming a popular way for cruisers to communicate. 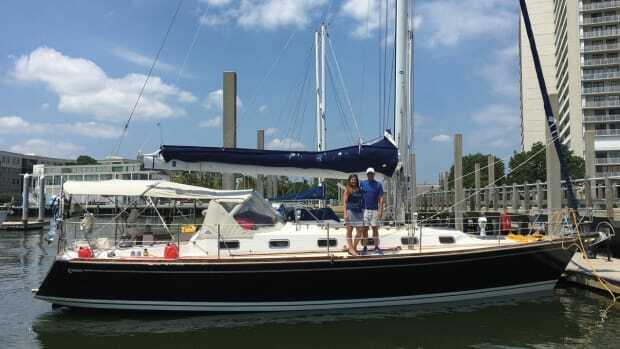 Compared to installing an SSB, this may be an attractive option for longterm cruising. CHARTS AND GUIDEBOOKS: Be sure to have paper charts or a chartbook for Mexico and electronic charts on your chartplotter or GPS. There are several navigation apps with charts covering the cruising area for iPad/Android tablets and smartphones. Latitude 38 publishes the First Timers Guide to Mexico (baja-haha.com/Guide/GuideIndex.html) which provides a good guide to preparing for the Baja Ha-Ha. Several guidebooks provide detailed information about anchorage areas and local conditions, including Charlie’s Charts Western Coast of Mexico including Mexico, John Rains’s Mexico Boating Guide and Jim Elfers’s The Baja Bash. FIRST AID KIT: Key items to include in your first aid kit include sea-sickness medications, burn creams, pain medications, antibiotics, anti-diarrheal medication, bandages, gauze, tape, splints and a medical emergency or first-aid manual. Hopefully, you won’t need any of these, but you should be prepared. FUEL: Fuel planning is critical and is dependent on your boat’s fuel consumption and cruising speed. Diesel is generally available at Tortuga Bay and Magdelena Bay/San Carlos. 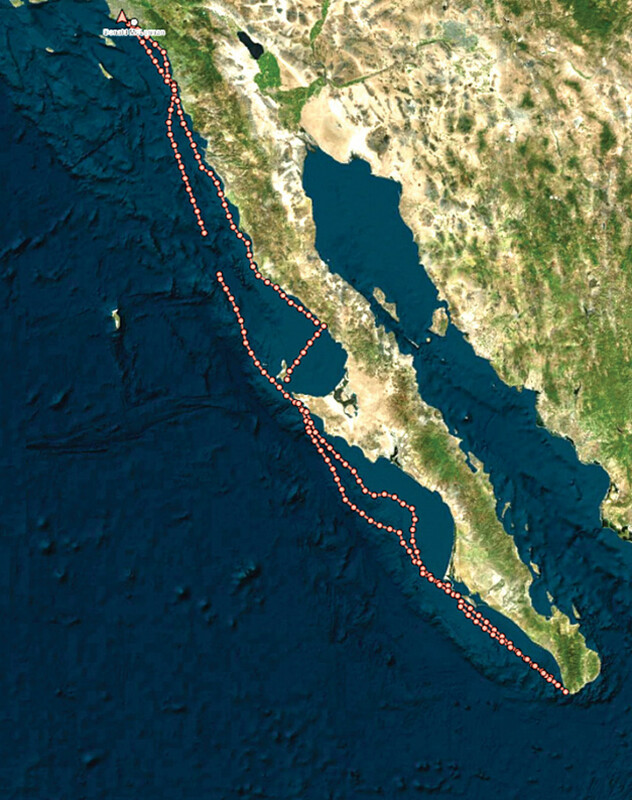 Since the longest leg is between Magdelena Bay and Cabo San Lucas, plan on at least a 400-mile range. Although this is unlikely, plan for some motoring on the downwind leg. Fuel consumption is based on your engine’s horsepower, hull and prop efficiency, and local conditions. 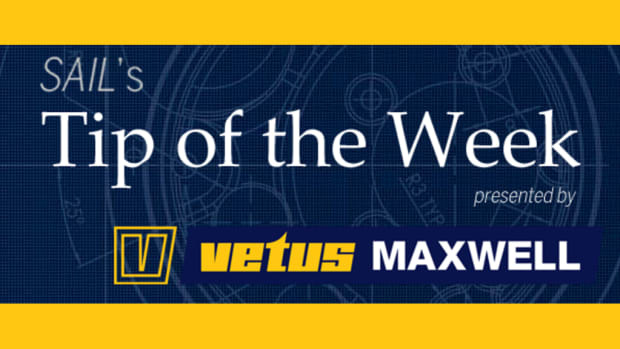 Diesel engines consume roughly half a gallon per hour per 10 horsepower. Assuming a 27HP diesel at 2,800 rpm, cruising at 6 knots, with a safety factor of 15 percent and a distance of 400 miles requires 50 gallons of fuel. Plan to carry the extra fuel you will need in jerry cans secured to the stanchions. The fuel quality in Tortuga Bay, Magdelena Bay and Cabo San Lucas is generally good, so you shouldn’t need to filter it. POWER: Another key consideration is the capacity of your house battery bank, electrical usage and your ability to recharge your batteries. Determine how many amp-hours (Ah) are drawn by your autopilot, instruments, navigation lights and refrigerator.You may get enough power to minimize engine use from solar, wind or a portable generator. Lightweight, flexible solar panels are readily available and 150-200 watts should cover the minimum daily usage. PAPERWORK: Mexico is working hard to streamline its tourist visa paperwork. Fishing licenses are required, and if there’s fishing gear onboard, everyone must have one. Monthly licenses are $35 and can be obtained from the CONAPESCA office in San Diego (sportfishinginmexico.com/licences/). All recreational boats over 15ft entering the Baja Ha-Ha require a Temporary Import Permit (TIP). The TIP can be obtained at a Mexican Consulate up to six months before the date of entry or online at Banjercito (banjercito.com.mx/registroVehiculos/). 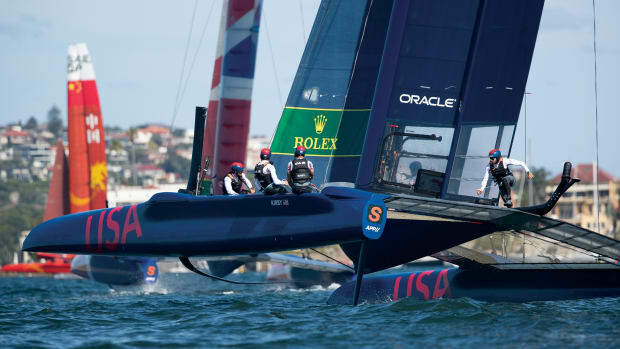 Be sure to submit copies of your boat’s registration and the “Promise to Return” form. A Tourist Entry Form (DNR) is required for all tourists entering Mexico. The DNR is issued by Mexico’s Instituto Nacional de Migración (banjercito.com.mx/registroEmbarques/) and costs about $24. Upon completing your check-in with immigration, immigration cards will be issued for each crew. When checking in with Immigration and the port captain, be sure to have several copies of your boat’s documentation, insurance, crew passports and any required forms. 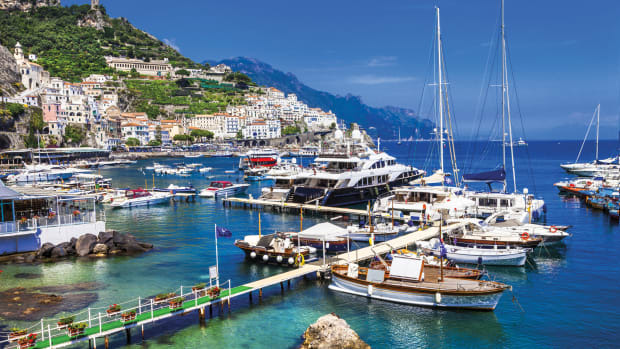 A crew list provides details about your boat, departure and arrival dates, name, date of birth and passport information for each person. The Arribo (arrival) document is used when checking-in with the port captain. The Zarpe (departure) document is used to clear out of Mexico. Samples are available online or in cruising guides. Once you arrive in Cabo San Lucas, your first stop will be the INM office to obtain tourist cards. From there, you need to check in with the port captain and pay a fee at a nearby bank. Many cruisers pay for the services of an agent who handles all of the immigration and check-in with the port captain. FOOD: With stops in Tortuga Bay and Bahia Santa Maria, you only need to plan for eight days of meals. There are restaurants in Tortuga Bay, and the local fishermen host a fish dinner in Bahia Santa Maria. Minimal supplies are available in Tortuga Bay. Freeze prepared meals or meats beforehand to keep them cold for the duration of the trip. Staples such as rice, pasta and potatoes can be easily cooked onboard. Apples, pears and oranges are easy to store and keep for a long time. Have plenty of snacks; there’s nothing better during your night watch than a warm drink and something sweet. Keep in mind, when arriving in Cabo San Lucas, the Mexican Agriculture will confiscate meats, fruits and vegetables so you don’t want to have too much extra food to throw away. WATER: The general water usage guideline is half a gallon per day per person. For example, four people for 14 days requires 28 gallons. Assume another half gallon per day for cleaning, personal hygiene and washing dishes. PROPANE: Make sure you have sufficient cooking gas for the duration of the trip. If using LPG (propane), make sure your tank is properly installed in a vented locker with a safety solenoid shutoff. MONEY: The current exchange rate is $18 U.S. to the Mexico Peso. ATMs are the best way to withdraw pesos from your bank. Almost all shops and restaurants will accept U.S. dollars. There’s no reason to carry large sums of pesos while in Baja. INSURANCE: Your insurance company may issue an add-on policy for Mexico. It may also require a survey and crew qualifications. Be sure coverage begins with the Baja Haha’s scheduled start since the official hurricane season ends on November 1. It is best to explore insurance options as early as possible. Separate Mexican liability insurance is required by the Mexican government and can be purchased online from a Mexican insurance company. Without this insurance, you run the risk of having your boat impounded.